Woody's Auto Repairs and Restorations offers personal, professional service and treats customers like they are family. 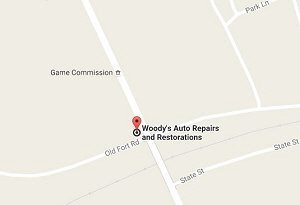 Woody's Auto Repairs and Restorations staff explain each needed repair clearly and in detail while addressing customer concerns and questions. Woody's Auto Repairs and Restorations is competitively priced offering the same labor rate for all vehicles, including diesel and European models. All vehicles incur the same $62 per hour labor rate! Woody's Auto Repairs & Restoration also offers several discounts, including a fleet discount 5%, military discount 5%, senior citizen discount 5%, first responders discount 5%, new customer discount 5%. Ask us if there is a discount for you! 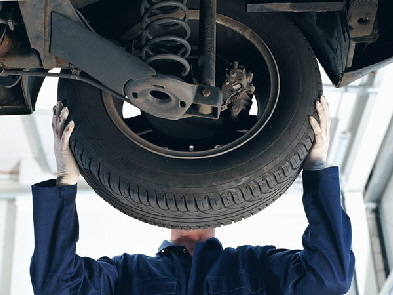 Woody's Auto Repairs and Restoration performs many different kinds of repairs. While a lot of what we do is included below, please always give us a call or stop in to discuss your specific repair needs. We perform minor and major engine work and also repair or replace transmissions using Jasper engines and transmissions. Jasper is the nation's largest remanufacturer of engines and transmissions. Their products come with a 3 year/100,000 mile warranty. Woody's Auto Repairs and Restoration only chooses the most reliable products for your auto repairs! Below are just some of the services we provide. If you don’t see something, please contact us and ask!